Here’s some information about me, in particular my research interests, active projects in my lab and some of the research outputs I have contributed to over recent years. 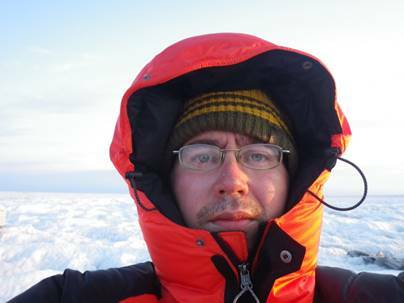 Research interests: My particular focus is the microbial communities associated with glaciers and ice sheets, which we now appreciate comprise a major freshwater biome which harbours an equivalent number of cells to all other freshwater habitats. My research maps the biogeography of ice-microbe interactions across a broad range of spatial and temporal scales, from microbial, ice-mass through to global scales, and from metabolic reactions through to modelling glacial biogeochemistry during the last glacial period. The discovery of microbial feedbacks in glacial melting and distinctive microbial biodiversity associated with glaciers help highlight the relevance of current research on ice-microbe interactions on societally-relevant and evolutionary timescales. 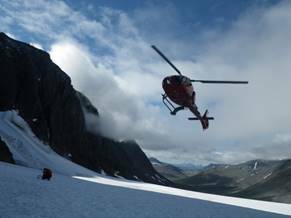 A final twist to our study of microbes in cold regions is how the microbial ecosystem associated with humans responds to the stresses associated with operating in the deep field of remote, hostile environments such as the Polar regions. One current project involves working with volunteers on Sir Ranulph Fiennes’ Trans-Antarctic Winter Traverse as a “White Mars” analogue. As such, my research team accesses a diverse toolbox of methods, from the field to the lab. 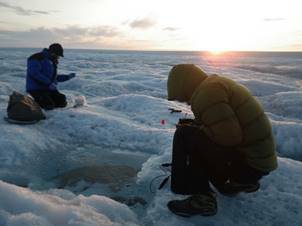 This includes working from field stations in the Arctic and Alps, for example Svalbard in the High Arctic, Greenland or Abisko in the Swedish Subarctic and Obergurgl in the Austrian Alps as well as exploring the microbial diversity of glaciers in Sweden, Iceland, New Zealand and Antarctica. Back home, we use a range of cutting edge methods, such as high throughput sequencing (rRNA genes, microbial genomes, metagenomes & metatranscriptomes), FISH, laser capture, real time PCR, functional metagenomics, metabolomics, flow cytometry, geochemistry, as well as more traditional microbial methods of culturing and microscopy. There are several active projects in the lab, with current and recent external funding sources including the UK Natural Environment Research Council, The Royal Society, Systematics Association, Great Britain Sasakawa Foundation, the Society for General Microbiology, National Geographic, British Antarctic Survey Low Carbon, Energy & Environment and Health and Bioscience National Research Networks and the Welsh Government. My team comprises one postdoctral fellow, seven PhD students working on Arctic soil, supraglacial and subsurface microbial ecology, several undergraduates following the Dissertation or Work Experience modules. The team also forms part of the Microbiology Research Group within IBERS. I convene the AU interdisciplinary Centre for Environmental Microbiology (AU iCEM) which unites 11 principal investigators from three Institutes at Aberystwyth University in collaborative research of microbial interactions with Earth systems. A substantial research infrastructure investment by the Higher Education Funding Council for Wales means AU iCEM is in the process of developing facilities which we hope will be world-leading for extreme environment ecology. Douglas J.L., Worgan H.J, Easton G.L., Poret L., Wolf B.T., Edwards A., Davies E., Ross D., McEwan NR. Microbial diversity in the digestive tract of two different breeds of sheep. Journal of Applied Microbiology. doi: 10.1111/jam.13060. Edwards, A*. ; Irvine-Fynn, T.D.L. ; Mitchell, A.C.; Rassner, S.M. ; A germ theory for glacial systems? Wiley Interdisciplinary Reviews (WIREs) Water. 1:4 331-340 DOI: 10.1002/wat2.1029. Edwards, A*, Mur, L.A.J., Girdwood, S.N., Anesio, A.M., Stibal, M., Rassner, S.M.E., Hell, K., Pachebat, J.A., Post, B., Bussell, J.S., Cameron, S.J.S., Griffith, G.W., Hodson, A.J., & Sattler, B. (2014). Coupled cryoconite ecosystem structure-function relationships are revealed by comparing bacterial communities in alpine and Arctic glaciers. FEMS Microbiology Ecology 89: 222–237. Irvine-Fynn, T.; Edwards, A.; Hodson, A.J. ; Rassner, S.M., Langford, H.; Newton, S.; Telling, J., Anesio A.M. (2012). Microbial cell budgets of an Arctic glacier surface quantified using flow cytometry. Environmental Microbiology 14:2998-3012. The information provided on this and other pages is the personal responsibility of Arwyn Edwards and not that of Aberystwyth University. Any opinions expressed are those of Arwyn Edwards and should not be taken to be those of Aberystwyth University. No cryoconites were harmed in the making of this page.